In honor of our American tradition of Thanksgiving, here is my contribution to the plethora of poultry recipes. This is an easy, flavorful way to prepare both turkey and chicken. Preheat oven to 350 degrees. Clean bird and place in roasting pan. Place onion and celery in cavity. In a small bowl mix herbs and garlic with olive oil and brush entire bird inside and out. Roast uncovered for first 30 – 60 minutes, or until browned as desired. 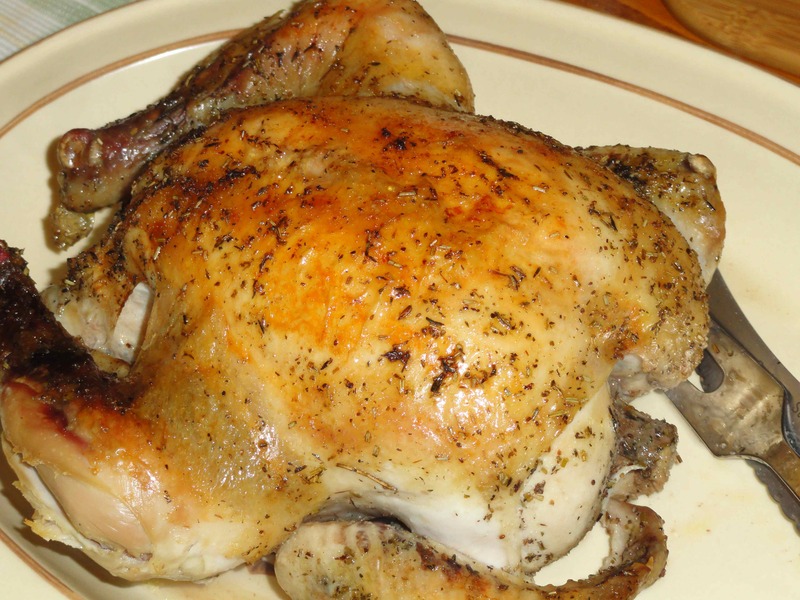 Cover and continue to roast a chicken until at least a total of 60 minutes or 165 degrees. For a turkey, plan on about a total of 3 hrs for a small (8lb.) and up to 5 hrs for a large (24lb.). Baste as desired with pan juices. As long as you hit that 165 degree mark – you are OK! Just remember, the more you check it, the more heat you lose – try to only open the oven once per hour. By all means, adjust your time covered and uncovered to your own tastes. Covered = more juicy. Uncovered = more browning. 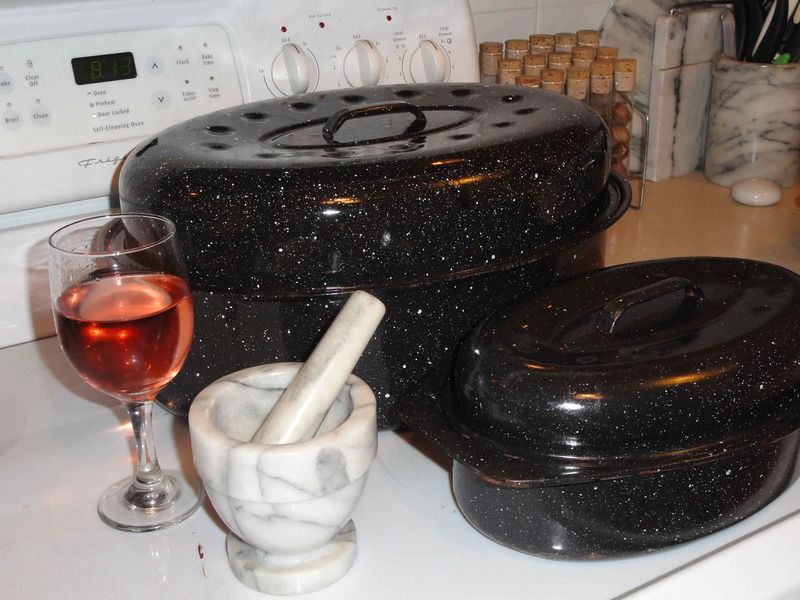 LOVE my mortar and pestle for the dried herbs – crushing gives a wonderful aroma! LOVE my antique roasters – I have never had a bad bird come out of one of them! WINE – wine added to the cook always guarantees a pleasant roasting experience! As always, thanks so much for stopping by. I have so much to be thankful for, I hope your Thanksgiving day finds you happy, healthy, and thankful as well.